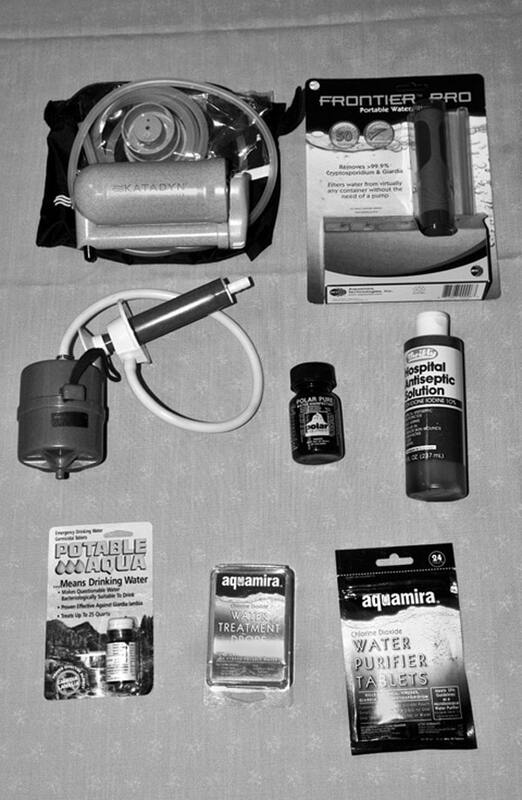 Water filtration or purification is an extremely important skill for preppers. But it is an area in which I see a lot of confusion. There are many different systems that are available and all of them claim to be the best. So let’s review some facts about water filtration and purification that will help you to determine which filters you need. There are three main processes for water filtration or purification, they are chemical, ultraviolet light or filtration. Today we are going to discuss the various options. Filters – Filtration occurs when you force water through a filter that removes bacteria and parasites like cryptosporidium and giardia. The filters are effective against bacteria and parasites, but are not normally effective against viruses. When you look at a filtration system, look at the micron size. This is a measurement of the pore size in the filter. The smaller the pore size, the more pathogens the filter can strain out. A simple rule is that the smallest bacteria is 0.2 microns, so a filter should be around that size or smaller to be the most effective. One thing to check when purchasing a filter is it field serviceable, this means that you can service it on your own in the backcountry if it gets clogged. For example, ceramic filters need to be scraped relatively often, but this is easy to do. Most other filters are designed to be easy to back-flush to remove clogs, but check to see how complicated this process is. Chemical Treatments: Eliminate bacteria and viruses, but some brands take as long as four hours to eliminate Cryptosporidium. They do not strain out debris, and usually give the water a bad taste. UV Purifiers are effective against all pathogens including bacteria, viruses, and protozoa. Because UV treatments do not actually kill pathogens, (they simply scramble the DNA of the organisms so that they cannot reproduce) be careful of treating water and then letting it sit in visible light for a long period of time, pathogens can reactivate. UV filters do not strain out particulate or change the taste of the water. The downside of UV purifiers is that they are dependent on batteries to function. The effects of the various water filtration and purification systems. Cryptosporidium: A good quality filter can effectively eliminate it. UV purifiers effectively disable it. Chlorine dioxide tablets eliminate cryptosporidium after four hours of exposure, drops take one hour, and iodine does not work. Viruses: can be eliminated by iodine, chlorine dioxide, and UV purifiers, but not filters. Bacteria: Eliminated by all systems including filters, chemical treatments, and UV purifiers. The absolute safest way is to use a combination of chemical and water filtration. However, in the United States one system will be effective in most cases. Currently there is little danger from viruses in water in the US. If you are traveling internationally, you want something that will kill viruses. I am Withdrawing my Recommendation on the Aquamira Frontier Pro. This entry was posted in water purification and tagged water filtration. Bookmark the permalink. If the worst happens clean water will be the number 1 priority and unpure water will be the number 1 killer. Many of the water filters designed for hikers will be excellent for drinking water but inadequate for a families water needs. The larger water filters with family capacity and 0.2 micron filtration will be a necessity. Extra filter replacements too. The big bugaboo with questionable water will be chemicals. (If the world changing event is nuclear war than add radioactive fallout.) Activated charcoal “can” filter out many chemicals but loses it’s ability to do so quickly. I agree with GoneWithTheWind. Unclean water can be incredibly dangerous, so it’s important to be sure that your water is clean before drinking it to avoid any unnecessary risk. Water filtration can be valuable, and these difference suggestions above can make the difference when camping or any other activity where you may need to drink unclean water. I love to drink water. I prefer it over any soda or sugar drink. However, I didn’t know how many bad things could be in water. It makes me so grateful for the clean and pure water that I have in my home, school, and work office. When I go camping or hiking, I’ll need to bring my own purifier. I agree Charlotte Eddington, I am also grateful for the clean water I am privileged to drink every day. I have always used a water purifier in my home, it eliminates any harmful substances. I also love the fresh taste it creates, it always brings a smile to my face. It feels good to know that i am taking care of my health with clean water. Water purification is necessary. Even if you are in your home, a water purification system is a good thing to have in case an emergency happens. Although water purification services are available now, they won’t be during an emergency. Thanks for all of your comments and tips about a variety of water systems. This is some great information, and I appreciate your advice to consider how easy it is to clean the water filter. You don’t want to be stuck in a situation where you need water but can’t get it because your water filter is clogged. It’s a good idea to check the difficulty of cleaning it yourself so you don’t get caught like that. Thanks for the great post! I work for a water services company, and I found this article to have great information in it. Water that is contaminated can cause some serious illnesses, and therefore efforts must be made to keep water purified. Water filters are easy ways to ensure safety. Thanks for sharing this valuable information with the public! 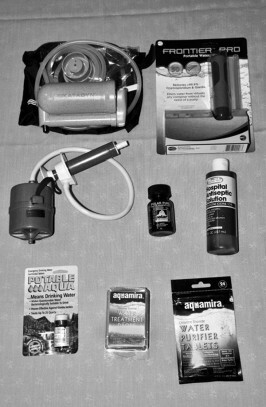 Having a good grasp on the multiple methods of water filtration will serve in a great deal of survival scenarios. Thanks for defining each one and providing your insights! My husband and I would love to get our water in our home purified, but we don’t know what to use. Thank you for all the information about the different methods of water filtration and purification. That is great that we can get a filter that removes the bacteria and parasites from the water. We will have to do some research to see what one would be good for us. From what I’ve read at the Berkey website, they claim that the Berkey filter filters out viruses.